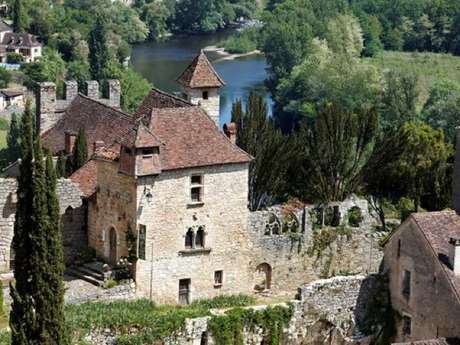 Awarded "one of the Most Beautiful Villages in France" status and also voted "The Favourite Village of the French" (2012). Seeking inspiration, artists have found their "Promised Land" here where they can let their imagination run free. Is it because of the gradation of subtle shades of brown ? The harmony of the volumes ? The exceptionally good views of the Lot valley ? Whatever it may be, painters, poets and writers have kept coming here to dip their pens and brushes into all this beauty. The many galleries and studios which have taken over its old buildings are witness to this.